i’m reminded of of the Jack Pines that are the first to cling to the lichen and moss of our Canadian Shield…transforming bare rock into life…scrubby and tenacious and brave. What beautiful comments and the power of these trees to bring forth life. Very refreshing. The images are brilliant. Well done. Your comments meant a lot to me. I like the almost immortal image you’ve created here. You have painted a lovely picture. Evergreens have an eternal nature, don’t they? Stunning images, JP–words, photos, and video. Thanks for visiting and I appreciate your comments! I like it. 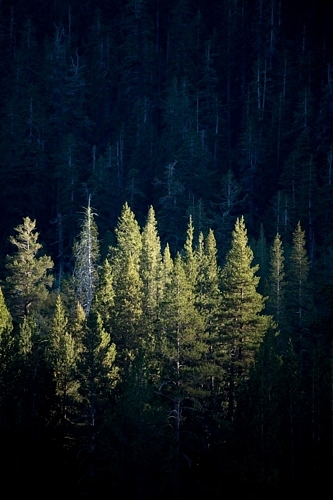 Evergreens are full of potent imagery and symbolic meaning. …while I enjoyed this whole piece, these lines definitely linger in my mind…nicely done. Its beautiful.. I enjoyed it. Thanks for sharing… your image is great..too.